President Donald Trump announced last year that the U.S. is withdrawing from participation in the world's most significant agreement on climate change, the Paris climate accord, and has focused his energy policies primarily on steps that will help the traditional fossil fuel industries -- coal, oil and gas. 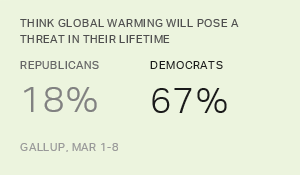 This series will help provide the public opinion context for these actions amid the ongoing debate between those who argue for more emphasis on the environment and the pending effects of climate change, and those who are much less concerned. The series is based on Gallup's annual March update on the environment and energy. 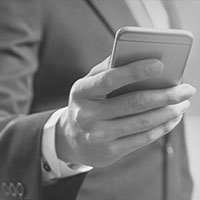 To get these stories as they publish, sign up for Gallup News alerts. 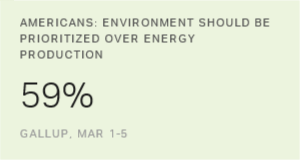 View more Gallup data and insights on the environment and energy.